What to Look for When Buying a 32” Smart TV? What are the Best Brands That Manufacture 32” Smart TV’s? Keeping up with the latest technology is a skill of its own these days. No sooner have you thought that you’ve purchased the most up to date cutting edge television, new technology is released just a few weeks later. Not too long ago you were happy to just have a flat screen TV but now you’re behind the times if it’s not a smart television, or its 3D, curved, or has as high as an 8k resolution. Sure, these are all great but sometimes you just want something a little simple that will allow you to watch some movies, stream some content, or plug your games console into it. Do we really need the latest and greatest 100-inch television with the capability of resolutions that most input devices are yet to even catch up with yet? Well, some of you will as that’s just how men are programmed when it comes to this stuff. Whether it’s to brag about our home theater setups or to be able to play our favorite games in the best resolutions and screen sizes, we as a gender simply cannot help ourselves. That said, there does come a time when you want something that serves a purpose that does not cost the earth. That is why our list of the best 32-inch TV’s in 2019 have been aimed at the more budget conscious among you. These televisions will be ideal to be used as a second, third, fourth, or whatever number, television for your home. Want a monitor, these will be a good choice, want something for your guest room or man cave, these will also serve your purpose. So if you’re ready to take a look at the best available right now in terms of value for money, simply carry on reading and we’re sure that you’ll find something that you like. 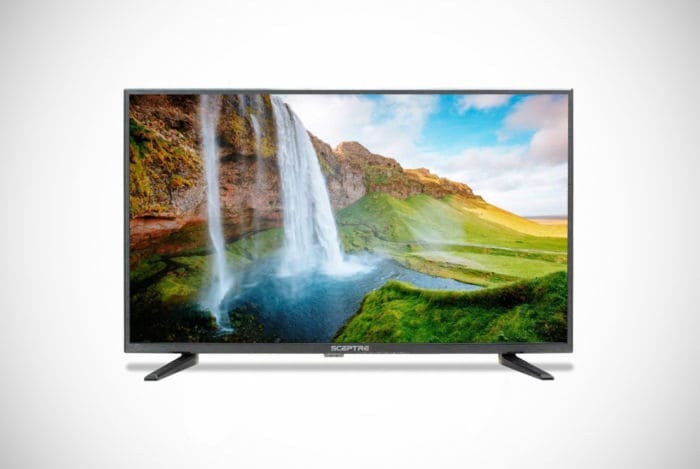 While technically the Sansui S32Z118 32” 720p LED TV is not the cheapest on our list, we still feel that when it comes a to a budget choice, this is going to be your best bet. Is it any surprise that when it comes to our premium choice that it’s a Sony? The Sony KDL32W600D 32-Inch Smart TV w/Soundbar is an excellent bundle from an industry leader. 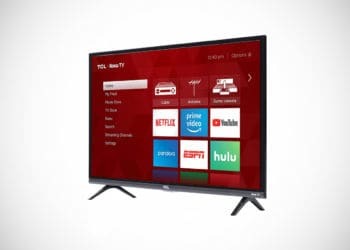 If we had to pick a television from our list that is a good mix of value and quality, it would have to be the TCL 32S327 32-Inch 1080p Smart LED TV. Smart features make this an excellent buy. 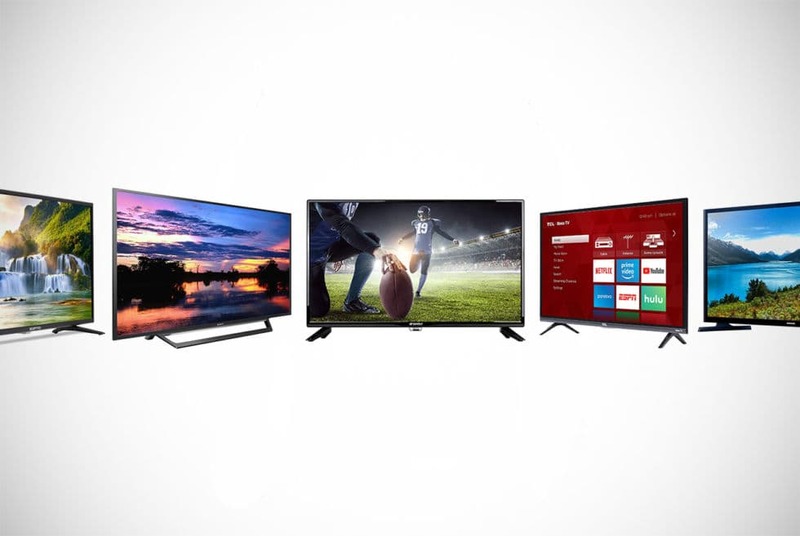 LG is known for producing some of the best 32-inch smart televisions around but they also make sure that those of you with a smaller budget can get a good quality set for your money too. The 32LK540BPUA is one such set that will provide you with a crisp 720p 1366 x 768p resolution, impressive brightness, and solid sound experience. 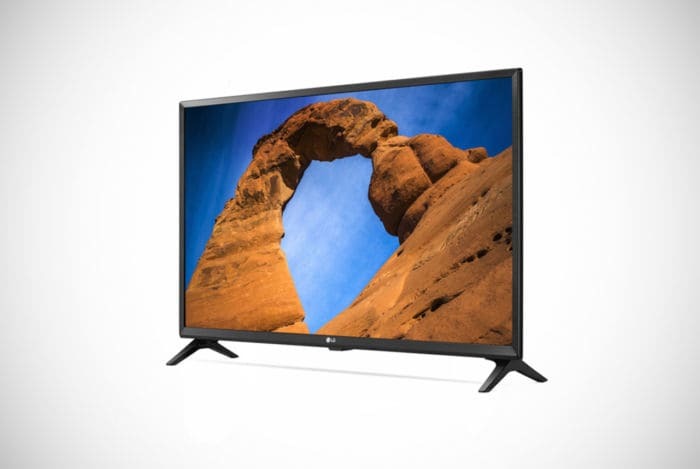 Inputs included on this LG 32-inch TV include three HDMI ports, and one each of Ethernet, USB, and RF. Of course, being a smart television, you’re going to want to connect it to the internet and while you have an Ethernet port that allows you to do so with cabling, you’ll also be able to connect it wirelessly via WiFi. Once the television is connected to the internet, you’ll then be able to take advantage of its WebOS operating system and the many pre-installed apps. Most of these will be movie streaming sites as you might expect like Netflix, Hulu, and the like but you’ll also find other interesting apps in the store. You’ll also be able to browse the web. Probably the best part about all this, especially for a 32-inch smart TV at this price, is that it’s compatible with Alexa. This means that you can control it by voice rather than remote which makes operating it far more efficient. Lost the remote down the back of the sofa…again? Not to worry, you don’t really need it anyway. 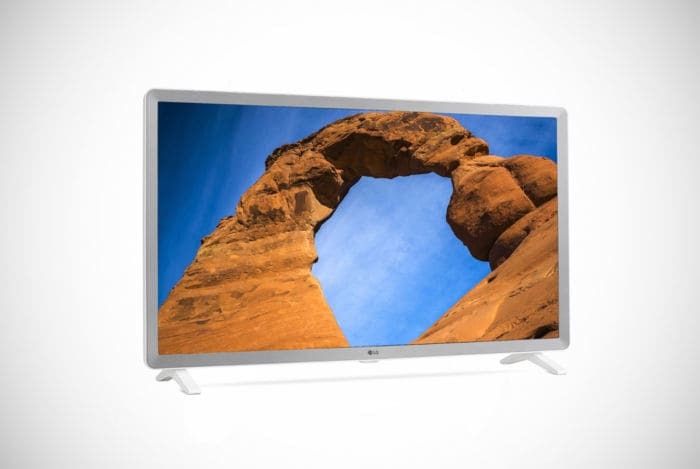 All in all, the LG Electronics 32LK540BPUA 32-Inch 720p Smart LED TV is a great choice to kick off our list and for anyone that’s looking for an affordable television with plenty of features. Another good option that’s in a similar price bracket to the above LG albeit at a slightly higher price is the Toshiba 32LF221U19 32-inch 720p Smart LED TV. Full of rich colors deep blacks, this television has a very good picture quality that’s delivered in 720p. Three HDMI ports seem to be the norm for a 32-inch flat screen TV in this price range and that it’s what you’re getting again here. That will be more than enough for most of you as you’ll be able to connect games consoles, laptops, and mobile devices or whatever else you need. On top of that, you get a USB port that you can use to plug in a USB drive to watch any movies that you’ve downloaded other ports such as those for audio, antennae, etc. 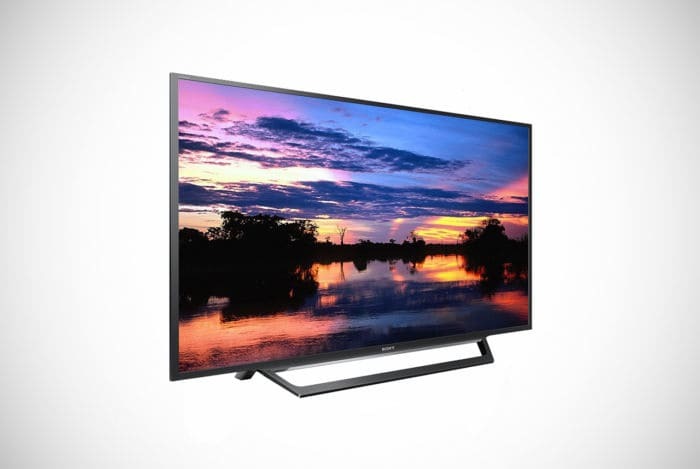 As for the Smart features of this TV, you’ll be surprised that these are so good for a television of this price. You can control it via Alexa voice and because it’s a Fire TV, you’ll also be able to connect it online and use the many apps that it comes available with. 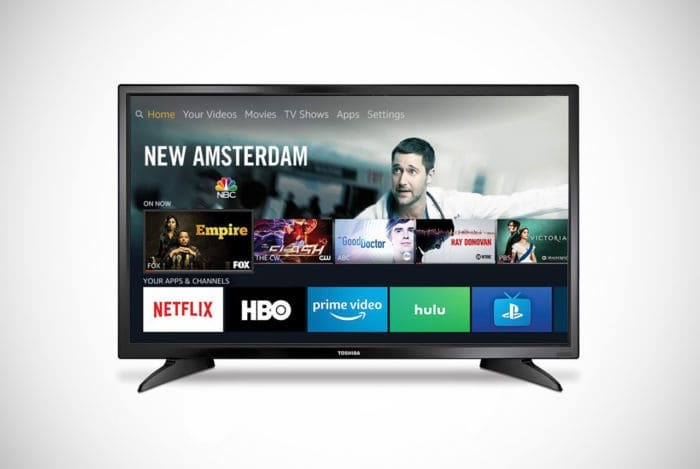 Netflix, HBO, Hulu, Prime Video, PlayStation Vue, and Sling TV are just some of the apps and streaming sites that you can take advantage of via Fire TV on this Toshiba. Another good thing going for this Toshiba is the fact that it has tons of positive reviews from all of the market place that it’s sold. 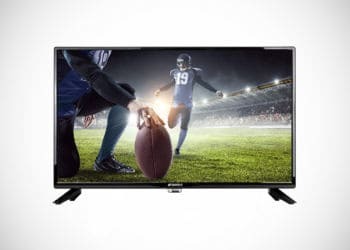 Toshiba has always been known for providing durable and reliable televisions at an affordable price and this one seems to be the latest in a long line of them that have shown to be just that. If this is a 32-inch television that seems to tick all of your boxes, you should definitely check it out. That said, you’d be wise to read through the rest of our reviews beforehand. It’s commonly known that TCL generally tends to stick to manufacturing televisions that could be classed as budget. We, on the other hand, prefer to label them as televisions that offer superb value to the customer. The TCL 32S327 32-Inch 1080p Smart LED TV is just another excellent example of this. Cheaper than both the televisions that we’ve reviewed so far but offering full HD 1080p resolution and a 120Hz refresh rate – you’re getting far more for your money. Sure, you could argue that both LG and Toshiba are bigger and generally better brands but when you’re looking for a cheap 32-inch TV, how could you ignore one like this that even has smart capabilities too? As with the other two models we’ve previously reviewed, the 32S327 comes with 3 x HDMI ports, a USB port, a composite port, RF port, and the output ports you’d expect as well. One downside is that you can only connect it to the internet via WiFi and not via Ethernet. 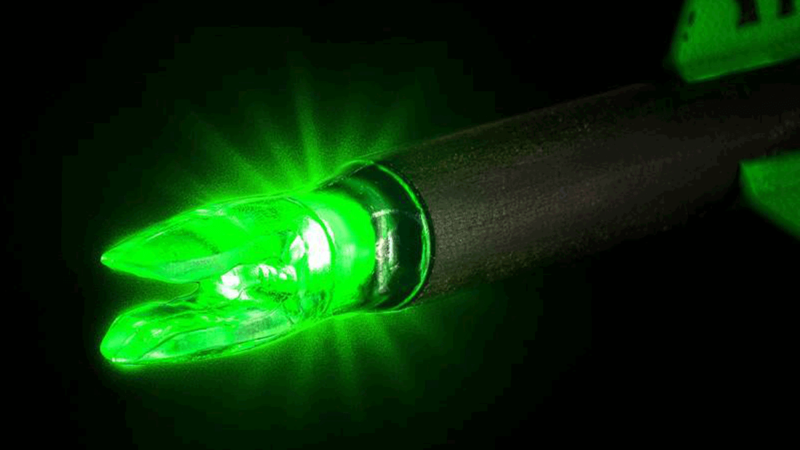 While WiFi will be good enough for most of you, wired connections are always more stable and will not be affected as much when you have the whole family connected to the internet. As with most TCL televisions, the smart aspects of the set are powered by Roku. Here you’ll be able to connect your TV to numerous apps and platforms that will give you access to thousands of movies, televisions shows, and other online content. Seriously, if money is tight or you just want a second TV for the home or for some dedicated gaming, you’re not going to get much better at this value. If you’re not bothered about smart features and simply want a good but cheap television for a smaller room or to use as a monitor for your gaming, the Sansui S32Z118 is one we suggest that you take a look at. Sansui is a Japanese brand that is known for selling budget televisions and while you’re not going to be able to directly hook it up to the internet, as a standalone television, it’s actually very good. For your money, you’ll be getting a 720p resolution, 60Hz refresh rate, and a number of ports that you can take advantage of. Two of those are HDMI ports while you’ll also get 2 x USB ports, a coaxial port and a PC audio in port. Between those connections, you should be able to use it for just about any purpose that you wish but the latter in particular suggests that this television will easily double up as a monitor for your PC or games console. The S32Z118 has a slim design and really does look good considering its price but it’s the picture quality that really surprises. Crisp, bright, and good viewing angles can be enjoyed with this television set which makes it an excellent choice for anyone looking for a simple television that offers good quality. Having no smart features might be an issue for some of you but this can always be countered through buying a Chromecast or Roku and hooking those up directly. You’ll be able to get access to all of the popular apps such as Netflix, HBO, and YouTube. A list of the best 32-inch TV’s would not be complete without at least one Samsung and the one to make our list is the UN32J4001 720p TV. This might be an older model than most on here with it being released back in 2017 but it still easily holds up and more against any newer models. 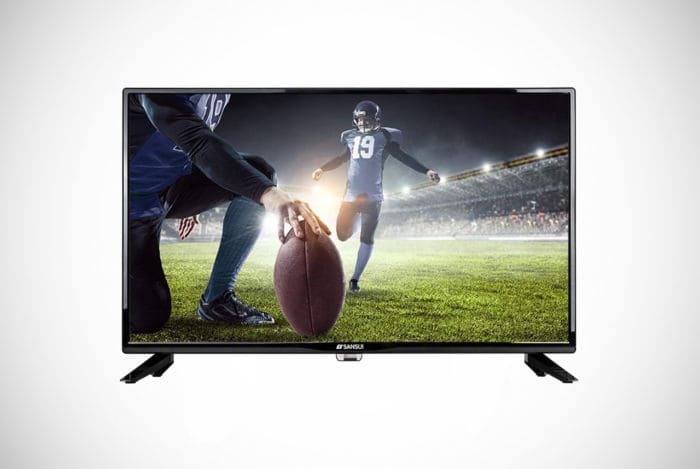 Offering a clear and vibrant 720p resolution of 1366 x 768 and the durability and build quality that is a given from any Samsung product, you’re getting a very solid 32-inch television at a very handsome price. Admittedly, it does not have the smart features that some on this list do but at the end of the day, it’s a Samsung and there are comp sticks, Chromecasts, and all other kinds of devices out there that can bring the benefits of the internet to your television. In terms of connectivity, you’ll enjoy two HDMI ports, a USB port, and a composite port. This is certainly not tons of options but it will be more than enough to provide you with what you need as a secondary television or in the role as a monitor. Where it really does stand out though as you might expect, is in the quality that it provides you in terms of the picture on the screen. The backlit LED is one of the best on our list and in terms of clarity, colors, and viewing angles, you’re not going to be disappointed with what you see. That said, if you’re more interested in smart features and require more in terms of connectivity, there might be others on this list that will interest you more. Samsung has always been a name that is renowned with quality, so you’d be mad to at least not consider this 32-inch television. It would certainly be wrong to not include the world’s most well-known brand and the Sony KDL32W600D 32-Inch Smart TV w/Soundbar is certainly deserving of a spot. There are many reasons as to why as well, especially the fact that you’re getting the excellent Sony HT-S100F 2.0 Channel Soundbar with Integrated Tweeter as part of the bundle. What you can expect from this Sony model is a 1080p display that has a refresh rate of 60Hz which will provide you with the superior picture clarity and crispness that is expected from Sony. This makes it ideal for both watching movies or gaming and with three HDMI ports and two USB ports, you’re not going to have any trouble connecting your chosen devices. 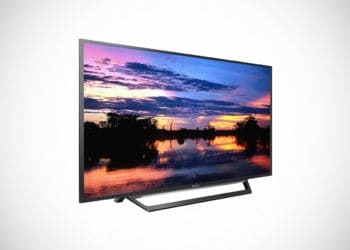 Features such as Sony Motionflow XR 240 technology which reduces blurring by digitally enhancing images that move quickly and the noise reduction benefits of X-Reality Pro technology is when you really start to know that you own a Sony. Those combined will ensure that you’re unlikely to get a better picture in this price range. Throw in the ability to connect to WiFi or Ethernet to enjoy some of the many apps on this TV and you’re pretty much set. Of course, this is not going to be up there with their very best models but for a reasonably priced Sony television that comes complete with a Soundbar, you’re getting some very good value for money. 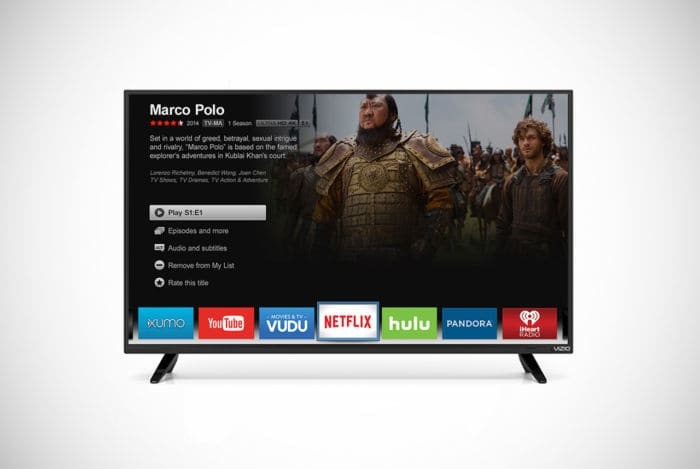 Vizio is another brand of televisions that have been making their mark in recent years and their D32X-D1 32-Inch 1080p Smart TV is one that we highly recommend. Aimed at the budget conscious among you, this smartly designed television will give you a full HD resolution that will impress you with its clarity, brightness, and color range. There are two HDMI ports that you can take advantage of and while this might not seem enough for some of you, we’re pretty sure that this will be fine for those of you that are planning to use this as a second TV in a bedroom, guest room, or another room in the house. It would even work well as a computer or console monitor if you so wish. Another plus is the fact that there are smart features to enjoy on the Vizio too. With Vizio Internet Apps Plus, you’ll be able to make use of apps such as Netflix, Amazon Instant, Hulu Plus, YouTube and many more. Having used and tested this TV ourselves, we would say that they could do with adding more apps as it does lack the numbers of some others – that said, most of the big names are there. Summing up, this is another good option to consider if you wanted a cheap 32-inch smart television. 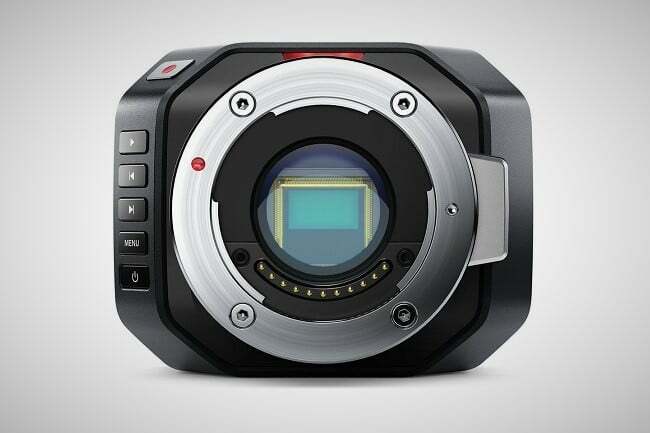 When you consider its price, the HD resolution, the fact that it’s smart and has plenty of connectivity options, you’re not going to be disappointed. Another cheap 32-inch smart TV for those of you that like to keep your money in your wallets is the Sceptre X328BV-SR. Now, this is easily the least well-known brand on our entire list but it’s also the cheapest by quite some way. For both those reasons, you should not expect too much in terms of the bells and whistles that can be found on others. However, in terms of the basics, they’ve been done very well and we think you’ll be as surprised as we were with the quality that you’re getting for your money. For a start, it’s 720p which means that it’ll be able to handle all of your high definition content and secondly, it has a good number of ports that’ll give you plenty of options when considering what to use with it. There are three HDMI ports in total so you can connect a games console, Chromecast, and a laptop all at the same time if you so wish. There’s also a USB port that will allow you to play music, movies or look at photographs that you might have stored elsewhere. Throw in a VGA port, a component port, and some composite inputs and you’d have to be very happy with the connectivity that this television supports. What you should not expect is any smart features as this is a standalone television set. That said there are dongles and Roku computer sticks that you can use to essentially turn the X328BV-SR into a smart TV. We started our list with an LG smart television so it’s quite fitting that we’re going to be ending it with one as well. This one is a tiny bit more expensive than the first but it’s still very reasonably priced considering what you’re getting for your money. The LG Electronics 32LK610BPUA is actually pretty much identical to the 32LK540BPUA in terms of specs apart from an additional few ports implemented in this one. You’re getting 3 x HDMI and 2 USB compared to the 2x and 1x respectively which makes it a better option if there are more devices that you wish to connect to it. Almost everything else is the same from the 720p resolution, to the vibrant, colorful, and clear picture, and the fact that it uses the popular webOS interface to provide its smart features. With the latter, you’ll be able to enjoy numerous apps from media sharing sites such as Netflix, YouTube, Hulu, and Sling while you’ll also be able to browse the internet when the need arises. Being compatible with Alexa is another great thing going for a smart TV at this price. Who needs a remote control when you can speak to your television and control it? In terms of style, we find the white color to be refreshing for a television set and while there are certainly slimmer sets around, you’ll be more than happy with how thin the 32LK610BPUA is. At the end of the day, this will be a solid choice whether you’re looking for a cheap main smart TV or something for your bedroom. Unless you’re a real tech-head, knowing what to look for when buying any kind of technology can be a confusing matter. Specs matter more than looks – something we’re sure you’ve tried to convince the other half whenever it comes to buying this sort of stuff. There’s little point of a television looking great if it’s outperformed by everything else in its price range. Many of you will know what you need to look for when buying a new television but for those of you that don’t, just remember the following considerations and you’ll be fine. Well as men we’re always told that size isn’t everything…yeah right! However, that saying might actually have some truth in it when it comes to televisions. Unless you’re trying to set up a giant cinema in your home, screen size is not really going to come into it. 32-inches is more than enough for most uses, even as the main television in your home and this is the size that our guide is concentrating on. Did you know that televisions are not even measured from one side to the other to get their measurements? In fact, the 32-inches that these televisions are classed as will be taken from one corner of the screen to the opposite corner. This is why when you check out our recommendations below, you’ll notice that many of TV’s do not even measure 32” in length. So how big is a 32-inch TV? Well, the actual length of a 32” TV is actually around 29-inches from one side to the other. While the size of the TV is important, for some of you, the panel type will be just as important. One of the biggest reasons for a big price difference between any two televisions will be that one will be using a more superior image panel. You’ll find that most 32-inch televisions use an LCD panel that has an LED backlight behind it. The technology in the latter is what can greatly affect the picture quality on a television set. 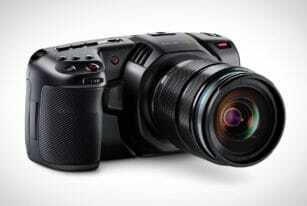 The better the backlight technology, the better the picture and thus the larger the price. The resolution of your television is going to be the most important consideration when it comes to picture quality. At the minimum, most TV’s these days will be able to provide you with 720p High Definition resolution of 1280 x 720. However, with resolutions now readily available that are Ultra 4K and some that are now even 8k, you’re going to want a bit more than just basic HD compatible. Ideally, you should be looking for a full HD television that has a 1080p resolution of 1920 x 1080 as a minimum. This is more than enough for good quality pictures for both movies and gaming and it will not be nearly as expensive as some of the more modern TV’s are that have these insane new resolutions. The refresh of your television can also have a big impact on picture quality. 60Hz is the standard these days and this is going to be more than good enough for most uses – even gaming consoles top out at 60Hz, so you’re not going to need any more for your PS4 or Xbox One. That said, if you like gaming on your PC and will be connecting this television, or will be primarily using it for HD movies, 120hz is going to be what you’ll want. Picture quality is extremely important and even if two televisions have the same specs in terms of resolution, panel types, and everything else, they will still look different on the screen to the naked eye. We suggest that you ignore everybody else when it comes to picture quality and judge with your own eyes. Go for the television that you perceive to have a better picture and you cannot go wrong. If picture quality really is a bigger priority than anything else for you, we recommend sticking with televisions from the biggest names such as Sony, Samsung, and LG as this is where you’ll find the best. They will have their own technologies implemented that ensure crisper, brighter, and better darks than most cheaper televisions. Sound quality is usually a little neglected on televisions these days but it’s easy to understand why. Speakers that come built-in to TV’s have never been of good quality since year dot but in modern times especially, speakers are nothing more than an afterthought. Why? Because most people hook their televisions up to speakers, soundbars, and home theater systems anyway – so the speakers inside the television are actually going to be redundant for most people. If you’re planning on using the televisions own speakers, of course, you’ll want to find one that has spent a little time focusing on quality in this area. You’d be surprised at just how many TVs actually lack in this area. Times have moved on from where we only needed to connect our video source, plug in some speakers and perhaps add a DVD player. These days in the world of home theater setups, smart televisions, movie streaming, internet, and online gaming, our televisions really need plenty of connectivity options to keep us satisfied. HDMI ports, in particular, are going to be important as these can be used up very quickly. It only takes a sound bar, Roku, PS4, and a Chromecast before you’ve already used four and there are plenty of other devices that use this connection as well. Other connections available include VGA, DVI, DisplayPort, and USB among many others. If your TV is a smart television you’re also going to want an Ethernet, WiFi, or both connections so that you can connect to the interweb. Get an understanding of what ports you’ll need for your particular setup before choosing a TV that will allow you to easily accommodate them. You’ll obviously want something that in your own opinion, looks smart and will go with all of your other devices. Most televisions these days are very slim in design – especially if you grew up like us in the days of the old-style CRT televisions. They’ll also usually be very minimalistic in terms of design so you will rarely see one with many buttons showing on the front. It’ll all come down to personal preference really when picking a design. Once you see the one you love, you’ll know that it’ll be the right fit for your living room. While TV’s, in general, are usually quite easy to set up and get going, some will still be a little confusing. Smart TV’s, in particular, may require a little bit extra effort as you ’ll have to connect it to your internet, set up any required accounts and subscriptions for any apps that you prefer. Even standard televisions, if their user interface is not straight forward to use can throw up confusion when it comes to setting them up. Scanning channels and getting the picture how you like it is not always easy depending on the television hat you buy. Try to find one that has a reputation for being easy to set up. At least one you’ve set up a television, you’ll not have to do it again so it’s just a one-time pain. If your TV is difficult to use however, this is going to be something that is going to get quite annoying over time. Most will be very straightforward as how difficult can it actually ever be to change a channel or turn up the volume. Some, especially when it comes to their smart platforms though, may not be quite as straightforward. You’ll want a TV that is easy to use in all aspects. When you’re spending your money on anything, but especially something that is going to cost a fair amount of money, you’ll want to be sure that you get your money worth out of it before it breaks down. Not all televisions are as reliable as you might think so it’s important to buy both a brand and model that has a good reputation with regards to reliability. The bigger names are generally the brands that you’ll want to look at but you’ll probably have to pay a little more. It’s a balancing act between initial cost and how many years you’re hoping to get out of your TV. The type of warranty coverage that you get is also an important consideration. Taking reliability, a step further is how much a brand actually believes in their products and you’ll generally find that the most reliable TV’s are those that have the longest warranty period. This shows confidence in their own product as well as thinking about their customers. Always find out what sort of cover you’ll be getting with your purchase before weighing up whether you want to buy a television. Even many of the cheaper televisions these days will have some kind of smart software and features. However, this does not mean that all smart televisions will be able to offer you the same platform and features. Some will severely lack in the number of pre-installed apps and what you can actually do with their smart platforms. On the flip side, some will give you tons of apps, allow you to download further apps, surf the web, and even allow you to connect to Alexa so that you can voice control your television set. Our advice would be to go for TV’s with Roku, Android, or Amazon’s Fire TV systems installed. You’ll be able to enjoy apps from all the big names such as Netflix, YouTube, Hulu, Amazon, and Spotify. What a TV looks like really should be the least of your worries in all honesty. We do know that some of you will want one that looks more stylish than another but each of the above considerations hold far more priority over whether a television is thin, has its curves in the right place, or has a better stand. Most televisions look the same anyway these days – basically looking like nothing more than big oblong shaped screens. There is no doubt that many of you’ll already have a few names in mind when it comes to the best brands of televisions on the market. Sony, Samsung, Toshiba, and LG, will probably be on your lips but there are some others that are starting to make a big name for themselves in recent years. The likes of Vizio, TCL, and Hisense are just a few of these new names and while these are generally known for producing televisions that some may consider as budget, they’re actually starting to move on up to challenge their more upmarket competitors. When you think of pure build and picture quality, Sony is almost always going to be at the top of the list. They’ve been producing high-quality television sets for close to sixty years now and you can always count on their models to be among the best in their price range. While they pride themselves on releasing state of the art cutting edge televisions at the top of their range, in recent years they’ve also made sure that they have televisions available for all kinds of budgets. Samsung is another big name and not just in televisions. Obviously, they’re very well known for their mobile phones too but they also manufacture everything from washing machines, kitchen appliances, and watches. Televisions are one of their specialties though and they’re easily recognizable as one of the world’s leading manufacturers. Like Sony, Samsung likes to be a leader in the industry and you’ll always be guaranteed an excellent picture. They also put a lot of focus into the smart aspects of their modern televisions – a lot more than many other brands do. 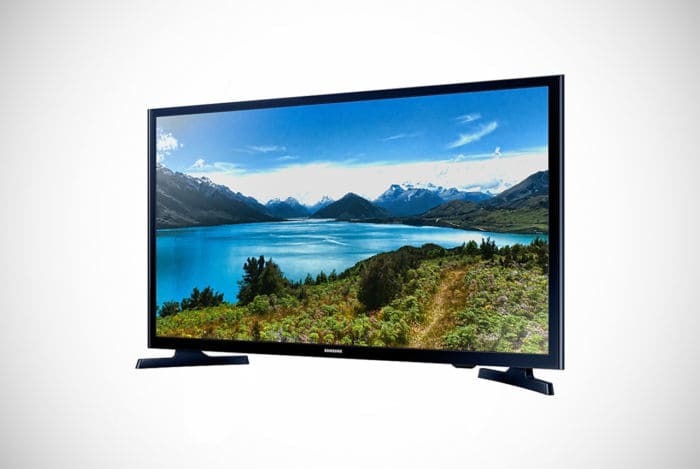 Another reliable brand that has been manufacturing televisions for decades is that of Toshiba. Known for building durable television sets that offer up a good picture quality, features, and affordability, Toshiba is certainly a brand that should be considered by everyone. They are probably on the next rung down on the ladder in the television industry compared to Sony and Samsung but they always offer great value for money. LG is probably not right up there with Sony and Samsung but they, like Toshiba, are certainly in the next bracket down. Known for reliability, good features, and for offering value for money, LG smart televisions are definitely worth a look. 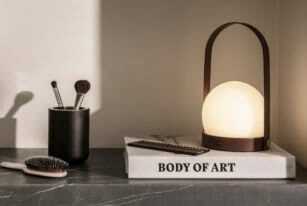 They also pride themselves on their very best OLED models which are renowned for having excellent picture quality. Vizio is somewhat of a newcomer but they’ve already demonstrated their ability at churning out quality but cheap 32-inch TV’s. Actually, they’ve even started producing higher-end televisions that are capable of competing against some of the bigger brands on this list in recent years. 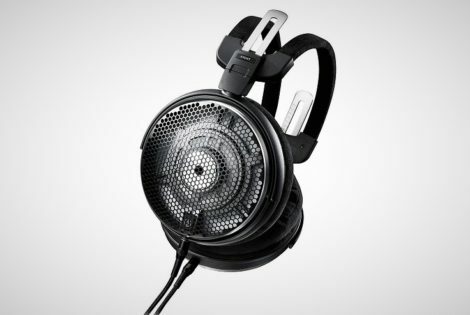 In general, though, most of their range is aimed at being competitively priced as well as being a particularly good companion for gamers out there. 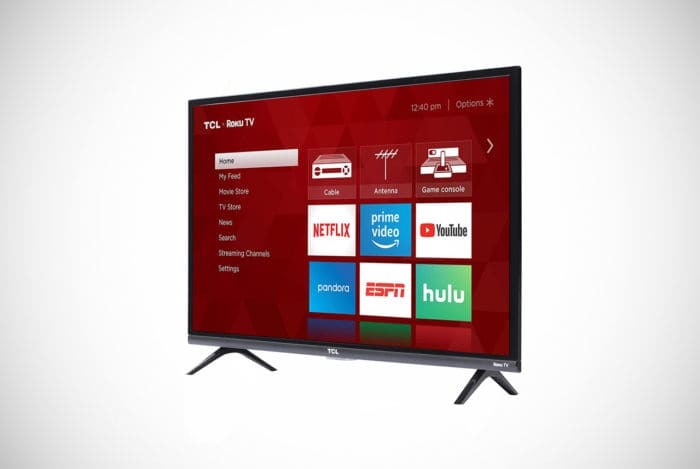 For the ultimate in budget-priced televisions though, TCL is right up there as one of the best. They cannot compete in terms of picture quality but this is not to say that theirs is at all bad, just not as crisp, bright, or has as good viewing angles as some of the top names. One positive though is their partnership with Roku which means all of their televisions offer this smart platform. Roku has a great selection of streaming channels and apps that really does add to the positives of owning a TCL television. Panasonic and Sharp in particular from those above are well worth checking out as these have been manufacturing televisions for many decades now. 32-inch TV’s are generally used for secondary purposes these days rather than being the main television in the house. There are much bigger screens that usually take up the main living area of home while the good old 32-inch is normally resigned to smaller bedrooms, guestrooms, and as computer and console monitors. This is why there really isn’t too much need to have the most hi-tech and most expensive televisions in this size. Well, that is unless you have tons of money and simply like the best of everything no matter its purpose or what it’s going to be used for. As you can see, there’s plenty of options out there if you wanted to buy a good quality 32-inch television but without breaking the bank. Sure, if you wanted a 4k resolution television or something that has the latest and greatest technology this might not be the list for you but for something that offers good value, quality, and features, we’re sure you’ll find what you’re looking for. 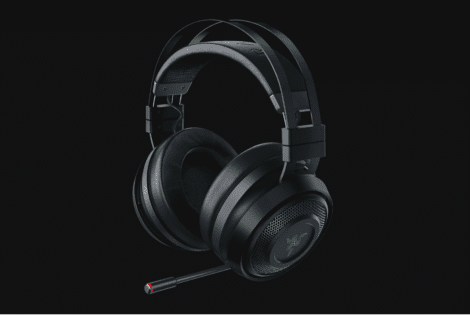 RAZER acknowledges what players need and is about to change the game with the RAZER Nari Ultimate gaming headphones with HyperSense technology.